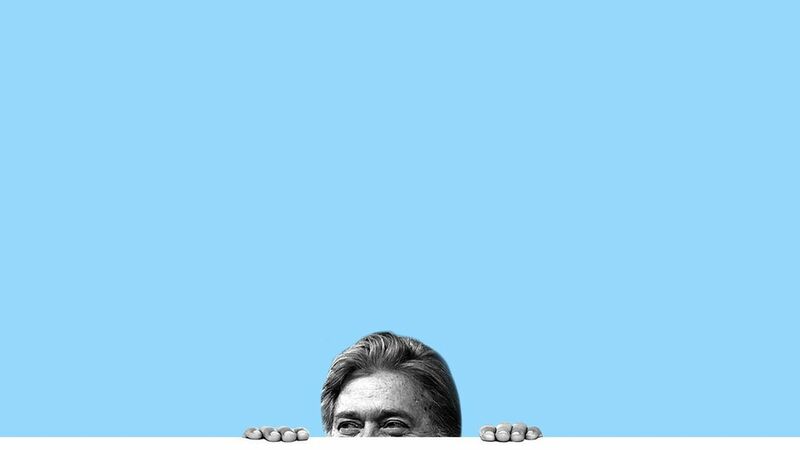 Why it matters: Bannon had been on very rocky footing recently (to the extent that the President has vented to a number of people about him), but the bolstering of the White House team to respond to the outside crises is a joint effort led by Kushner, Bannon and Chief of Staff Reince Priebus, two sources said. The senior staff that had been out for each other is now united by a common enemy. "It is now very clear that there is a unified opponent and that's ultimately the swamp, both with regard to the deep state leakers, to the partisan opponents and the people who just don't want to give up their power. That includes the media," said one source close to the process. "Obviously you want it [unity] under different circumstances but it's really united this team and helped bring clarity to their focus." The proposed war room (the planning for which Mike Allen scooped yesterday) is not currently conceived as being about replacing current staff but adding "experienced veterans from the campaign trail who recognize the gravity of the situation," the source added. "Steve is super savvy dealing with the media and dealing with crises," says Newsmax CEO Christopher Ruddy, a friend of Trump's. Bannon, who declined to comment for this story, played a key role during the tensest moments of the Trump campaign (see: "Access Hollywood" tape). He's skilled at misdirection and deflection. Along with his street fighter ally from the campaign, David Bossie — who is now under serious consideration to join the White House communications team — Bannon deployed scorched-earth tactics against Hillary Clinton like staging the famous press conference with the women who'd accused Bill Clinton of sexual assault. At Breitbart he ran a 24/7 war against the mainstream media — one of the two identified enemies for Trump currently (the other is the "deep state," which the team expects will keep leaking against Trump). Side note: As Politico's Ben Schreckinger reported, Bannon teamed up with former Fox News boss Roger Ailes to discredit the work of journalist Gabe Sherman, who wrote an unflattering book about Ailes. The scene reads a lot like a war-room: "In the weeks before the release of Sherman's biography, 2014's "The Loudest Voice in the Room," Bannon huddled inside a Fox News conference room with Ailes, Ailes' personal attorney Peter Johnson Jr., pollster Pat Caddell and former Fox journalist Peter Boyer to discuss discrediting the book...True to form, Bannon advocated an all-out "go to war" approach during these sessions..."
Dissenting view: Roger Stone, who has known Trump since the late 1970s and been a political advisor, believes Bannon is the problem not the solution. "Steve doesn't do anything. I question his competence. I don't question his intelligence," Stone said. "Stephen K. Bannon talks a good game but never does anything ... the man has no political accomplishments, or as Donald Trump said to me, 'what did he do in the campaign?'"